Rovio, the creator of the famous Angry Birds, is thrilled to present a new real-time five versus five (5vs5) multiplayer game - available now on iOS and Android worldwide. Developed internally by Rovio, Battle Bay is the latest gem in Rovio’s stellar games portfolio. The seas have risen, and the characters of Battle Bay are fighting for survival. Players must assemble in teams of five to challenge opposing teams in a last-boat-floating, real-time multiplayer showdown. With the opportunity to customize ships and train their crew, players can make their ship their own, while chatting with other team members using an in-game communication system. 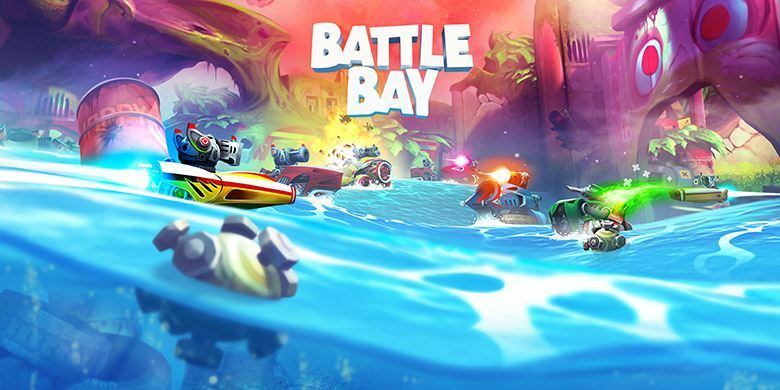 Battle Bay marks a lot of firsts for Rovio, being its first real-time competitive multiplayer game, its first game entirely in 3D third person perspective, and the first time showing the Battle Bay IP with its beautiful world and mysterious characters. “We are excited to announce Battle Bay, Rovio´s brand-new IP, that is a result of years of efforts from our fantastic team,” noted Wilhelm Taht, Executive Vice President of Games at Rovio Entertainment. “We are proud to offer this level of multiplayer, action packed gaming experience to a wide range of gamers globally. “Taht continues. Battle Bay sails into app stores worldwide today, May 4th. Download the game for free here. Media assets for Battle Bay available here. More information about Battle Bay here.